Buying a business is a big step with lots of risks, but for many people, the potential rewards of business ownership outweigh those risks. 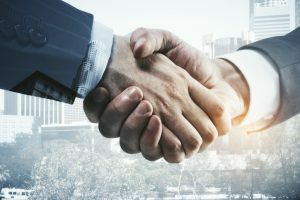 The key to making a successful business acquisition is putting your excitement on hold and critically evaluating the business you’re planning to buy. The following are five things you should thoroughly consider before making an offer. Is buying a business the best decision for you right now? Are you simply buying because you’re bored or tired of looking? Do you even have the time and resources to run the new business? Many people buy before thinking about these things, which is a big mistake. You should only buy a business if you see an opportunity in the deal. Additionally, you must first assess your resources (time included) to determine whether you’ll be able to profitably run the business. What is the current state of the business’ sales and payroll taxes? In most U.S. states, tax authorities can go after a buyer if they find that the seller owed sales, payroll, use, and other business taxes. To avoid complications down the road, ask your state tax authority to issue a “clearance letter” saying that the business owes no taxes as of the closing date. When it comes to the business’ sales you should also look at the company’s invoicing terms. Although Net 30 is the standard payment term for most companies, some allow their clients to take longer, and this can create cash flow problems for new business owners who may have taken on debt in order to purchase the company. In such cases, invoice factoring is often a viable solution. This applies if the business is an LLC or a corporation. Do not buy stock in such a business. Instead, offer to buy assets in the business and form a separate company to act as the purchaser. You’ll get a better tax treatment and if the seller owed money to people, you won’t assume those liabilities. Certainly, there will be customers who owe the seller money on the closing date. Who will be responsible for collecting the debt? There are two options; either you can purchase the accounts receivable at closing or you can let the seller collect the debt. To ensure business continuity, it’s advisable to go with the first option. A “letter of intent” is a short letter outlining the important terms of the agreement. Among other things, it should state; the purchase price and how the amount will be paid, terms of the seller’s non-compete agreement, and assets that will be transferred to the buyer and those that the seller will keep. Considering buying a business but worried about your initial cash flow? Give us a call at 1-800-297-6652 to learn about our flexible factoring solutions. When it comes to online business lenders, there are good ones and not-so-good ones, and it’s not always easy to tell the difference. Business owners have more options available for financing today than at any other time in the past. In addition to traditional lending avenues such as SBA loans, community bank lending, equipment leasing, factoring, and asset-based lending, there are a large number of online business lending companies. Online business lenders have mastered the art of being fast and easy. Business owners are often promised funding the same day they apply. A good rule to remember is “if it seems too good to be true, it probably is”. Finding capital online is easy. But the actual “true” costs of the loan are often more difficult to understand. Confusing loan documentation, hidden fees, daily draws from the business’ bank account and the overall lack of transparency often puts a business owner on a treadmill of borrowing more money just to make payments. We have talked to many business owners who fell prey to some of these online lenders. Stacked loans and being unaware that they personally guaranteed these loans and pledged all of their assets to the lender, can ruin a business. Annual percentage rates of 50% and higher have had many businesses in a death spiral. The OCC and many State Attorney Generals are investigating these companies in an effort to stop these usurious and predatory practices. Considering an Online Business Lender? – Are the terms and conditions of the loan contract clear? – Is the actual interest rate clearly stated? – What is the payment schedule? – Will payments be automatically drafted out of the bank account? – Is there a grace period? – What are the penalties and interest for a missed or late payment? 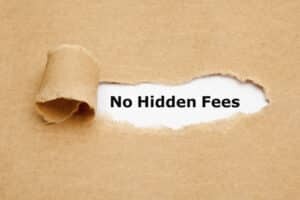 – Are there servicing fees or other miscellaneous fees? – Is the lender filing a lien against my business? – Am I personally responsible for the principle and accelerated interest? For forty years we have known the value of fast funding for business owners. Emergencies happen, opportunities present themselves causing business owners to need more capital. At American Receivable, we often fund clients within 24 hours, however, we value clarity and transparency. We want out clients to have full disclosure regarding the transactions, collateral pledged and personal commitments before documents are signed. Furthermore, American Receivable knows that the best business relationships start with full disclosure. If you’re considering an online business lender to improve your cash flow situation, we invite you to call us at 1-800-297-6652 to learn more about our invoice factoring solutions.